I'm writing about another campaign out there that I like today. Two in row, this feels weird, I hope I'm not going soft. 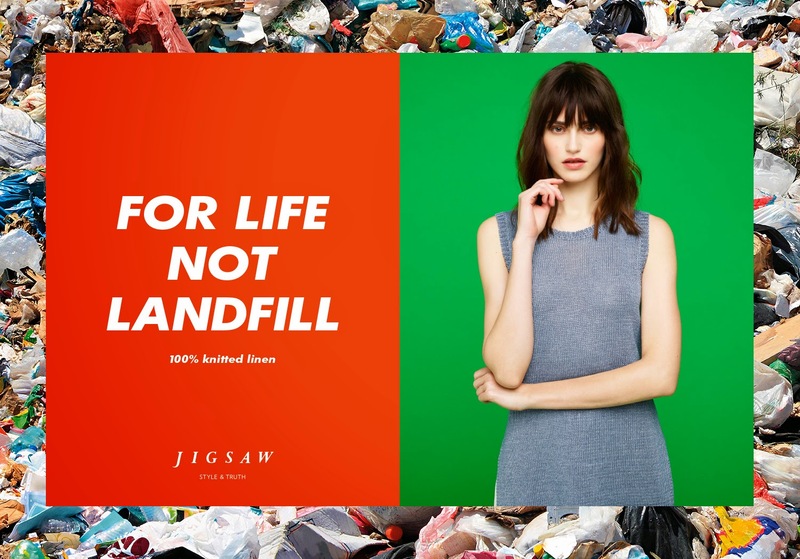 Anyway, its the new campaign for Jigsaw by The Corner. We see hundreds of ads for clothes with pictures of attractive people wearing the clothes. That's okay. Generally the fashion business understands its customer and business very well when it comes to advertising, and agencies tend to confuse things when they get involved. Quite often, you can see that they tried to put in an idea of some kind, but often the idea isn't a good fit (irony, that) and you can see a struggle between product and idea in the work itself. But I rate this work because there's a thought and a point at the centre of it – and that thought starts where it should: with the product and what it means to me as a (potential) customer. So these ads, whilst they do show me the clothes, and nice-looking people wearing the clothes (I don't have a problem with that) they attempt to engage my mind. They treat me as an intelligent being, not a moron. They say to me, yes these clothes might cost more than Primark or New Look or Top Shop, but they're made to last. I appreciate this effort to communicate to me with intelligence, it makes me think better of them as a company, it reminds me that they make good quality clothes, and it justifies the price premium (a very valuable job that often goes unsaid in advertising). The craft is good, too. It could have been over-written, but it isn't, it's pithy. The art direction is strong – the simplicity and the bold colours are strong and distinctive. 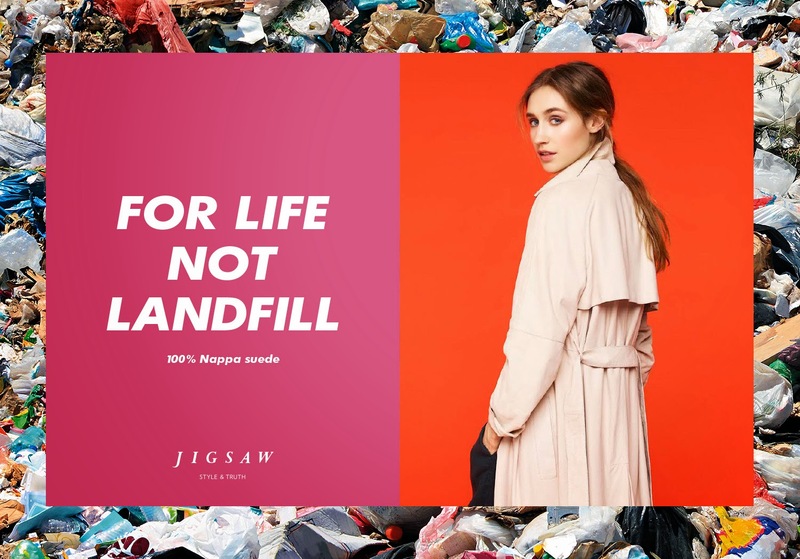 And I do like that they have used the images of landfill – I can imagine that much debate was had over that. Over on the Creative Review blog where this was featured, a few commenters said they didn't like those images being in there, but I think they help. Normally you might argue that you don't have to show what you say, or vice versa. But with a point like this I think that image helps to make you think about the disposability of cheap clothes. Our point of view here at Sell! Towers is that the most successful advertising tends to have the product or service at its centre, and provide some reason why the customer would benefit from buying it – this does that. 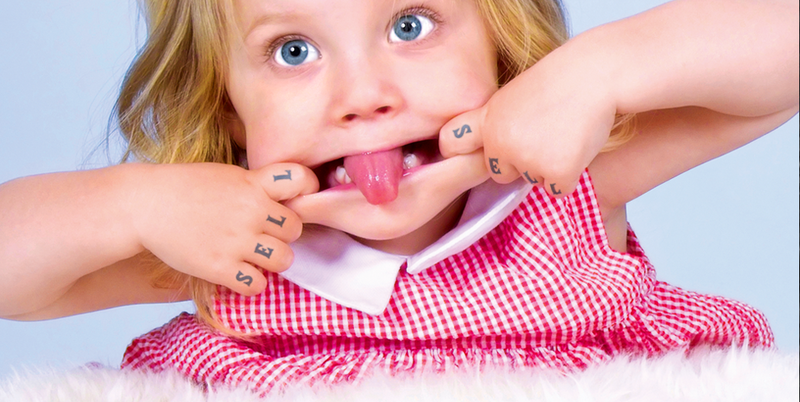 But also, that successful advertising needs to surprise, provoke or entertain in order to be noticed and remembered. By engaging the customer's brain, this advertising does that too. 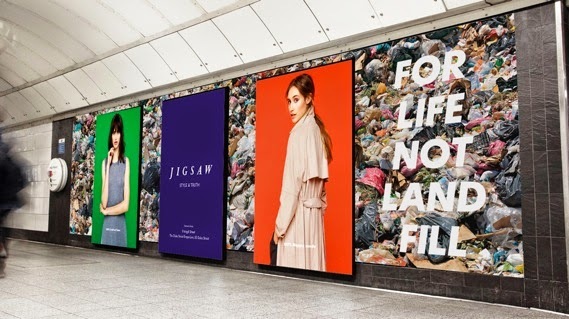 As advertising generally becomes more facile and moronic (and as a result, increasingly insulting to the intelligence) it's good to see some work that bothers to communicate something of substance. So well done all round to team and client. Hats off to you from us.